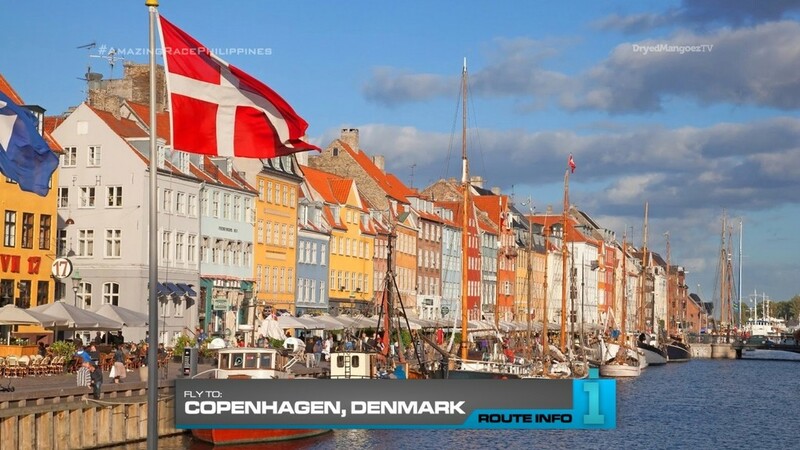 We’re at the halfway mark of the Race and teams will now fly to Copenhagen, Denmark! Teams will all be on the same Aeroflot flight via Moscow arriving in Copenhagen at 12:15pm. 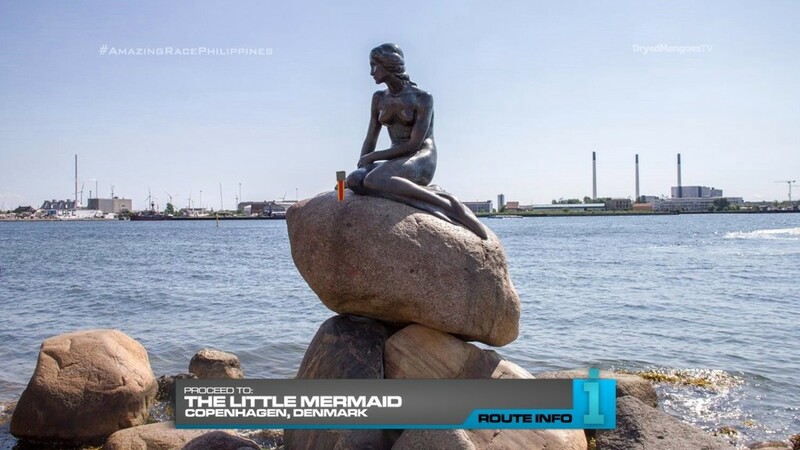 They will need to figure out that their next clue is waiting at the Little Mermaid statue, inspired by Hans Christian Andersen’s famous character. 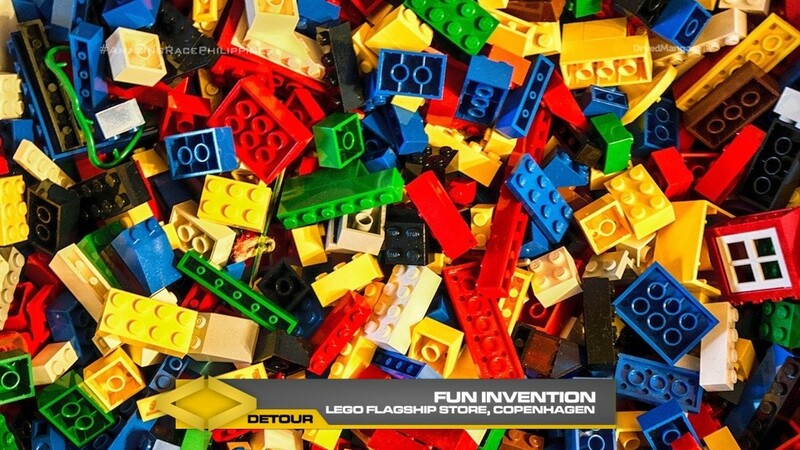 That clue will reveal the Detour: Clean Invention or Fun Invention. Copenhagen is one of the world’s cleanest cities. 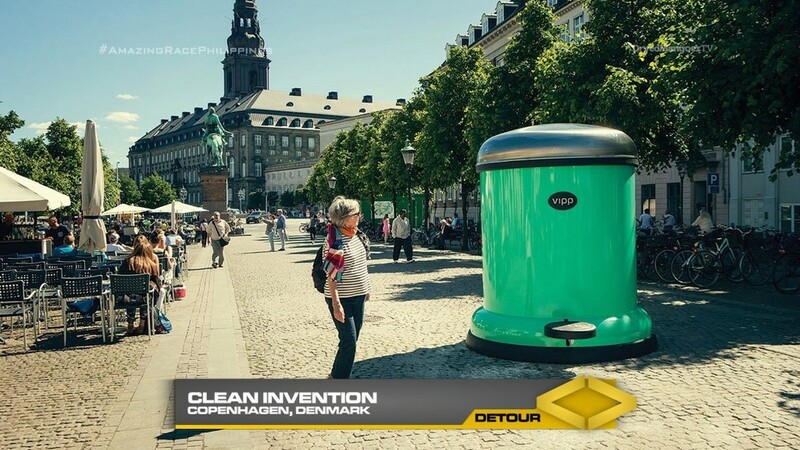 And here, Holger Nielsen created a pedal bin trash can for his wife’s salon. Now that pedal bin is a signature product of VIPP, based here in the city. In Clean Invention, teams must pick up pedal bin trash cans and deliver them to various locations around the city using a provided map. Each location will have a ticket they will need to take in order to exchange for their next clue. Denmark is the home of Legos. In Fun Invention, teams must search through Lego bins at the Lego flasgship shop and in the nearby park. They must find all the necessary pieces they need to build a waving Amazing Race flag. Once they have made an exact replica according to an example, they will receive their next clue. 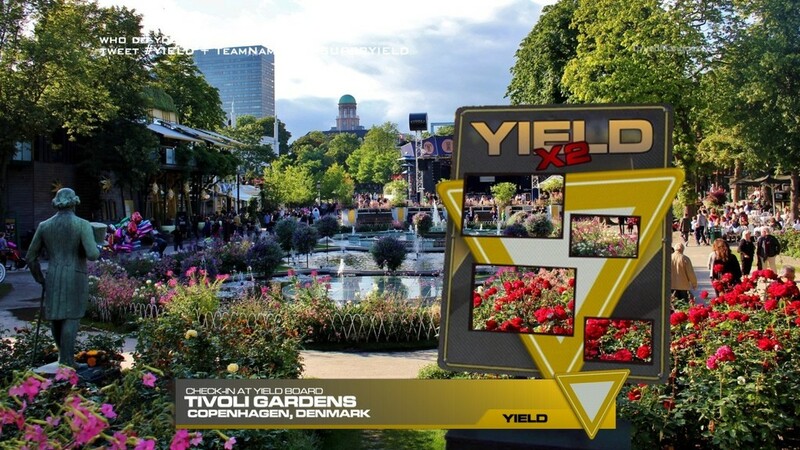 Teams must now make their way to the Star Flyer at Tivoli Gardens. And here they will find a Double Yield Board! The Super Yield, if still available, may be used here. After the Yield, teams will need to hop onto the Star Flyer and count the number of Race flags flying down below to receive their next clue. If they give an incorrect answer, they must ride again. 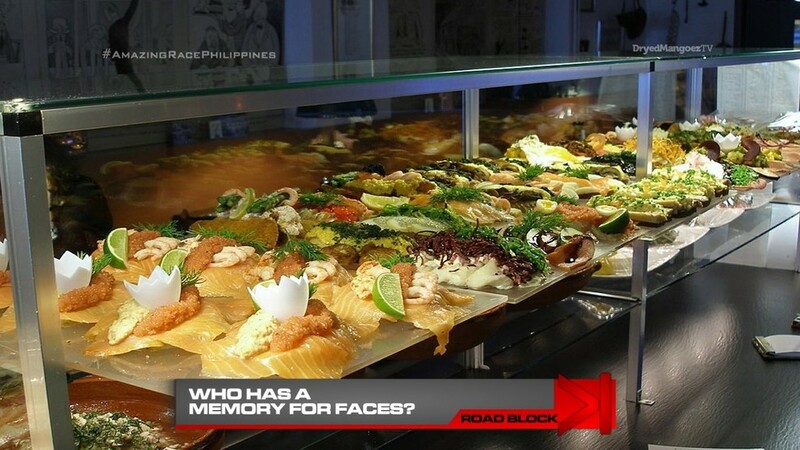 Teams will now head to the Ida Davidsen Restaurant where they will find the Road Block: Who has a memory for faces? For this Road Block, teams must take a smorrebrod order from two customers, remembering the menu number of four sandwiches. 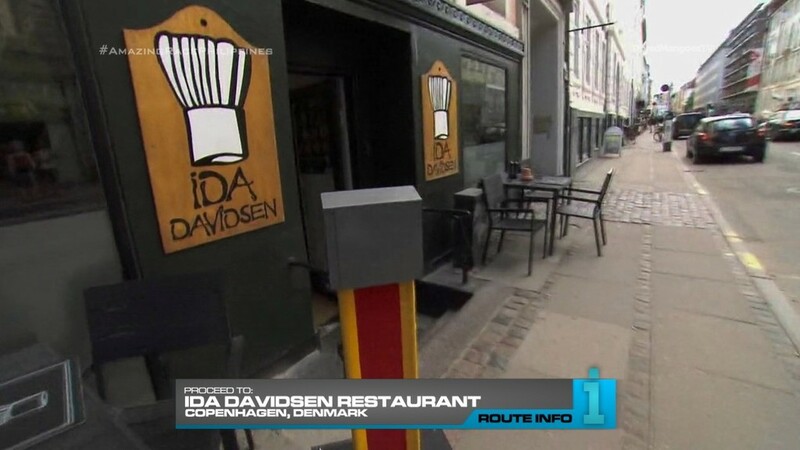 They must then use a menu to memorize the ingredients of the four sandwiches and relay the order to Ida Davidsen herself. If correct, they will serve the sandwiches and receive the next clue. 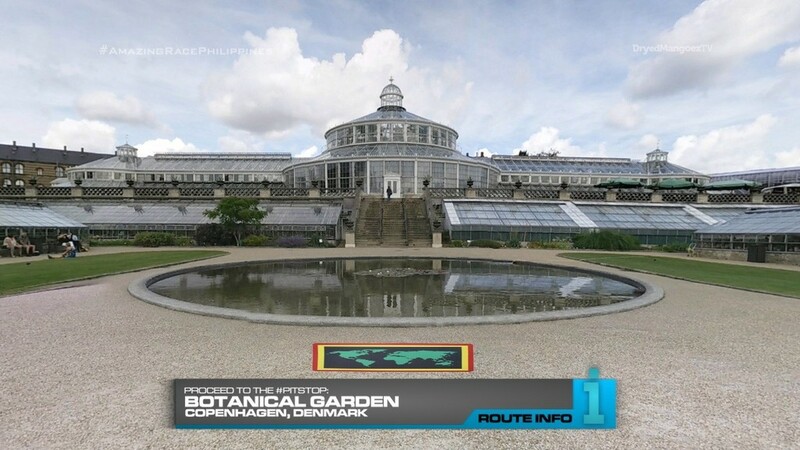 That clue tells teams to go to the Pit Stop, the Botanical Garden. The first team to check-in here will win P200,000 courtesy of the generous people at Shell who have developed V-Power Nitro+. This should be a pretty solid Leg. The first Route Marker gets teams to interact with locals trying to figure out the clue. With the Detour, I stumbled upon the pedal bins and thought that would be a good task. Though another delivery Detour after the ones in Armenia might be repetitive. The Lego side of the Detour is a must since this might be the only time TARPH will visit Denmark. Hee. 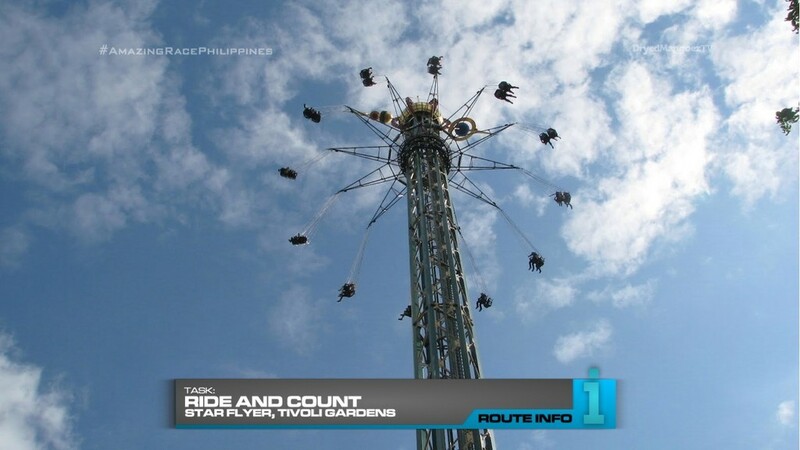 The Star Flyer is a simple task just to add another thing for the teams to do this Leg. It doesn’t need to be included, but it’s a good task to put after a Yield. The Road Block from TAR25 was pretty good so I’ll include it here. Overall, a nice little Leg. ← Recap: Shuriken Sentai Ninninger, Episode 46 – Awaken the Final Shuriken!